A man and a woman have denied murdering a man in his home in Northampton. Karl Pound, 50, and Mary Cash, 38, both from Northampton, have been charged with murder following the death of a Robert Chester, whose body was found after a fire at a house in Rothersthorpe Road on October 8. 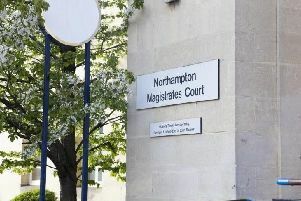 Both defendants appeared at Northampton Crown Court and pleaded not guilty to a charge of murder. A trial has been set to start on March 29. Cash and Pound were remanded in custody.